1st annual Casa Valdez DVD contest!!!! 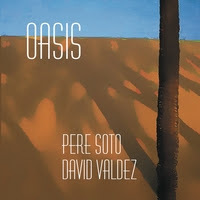 Oasis, the CD I co-produced with Catalan guitarist Pere Soto, is now available on iTunes. You need to have the iTunes software installed to buy the tracks, which are a bargain at .99 cents a tune or $9.99 for the entire CD. 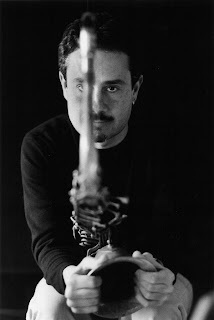 His 10 albums as a leader document the evolution of his playing as well as his growth as a composer. Margitza has also composed music for orchestra including two symphonies and a saxophone concerto. He currently lives in Paris and his most recent recording Bohemia, on the French label Nocurne, is his most personal to date. Recorded after moving to Paris in 2003, this project is completely different in style and content from any of his other recordings. The instrumentation ranges from violins, tablas and sitars, to harmonicas, voices and ethnic guitars. Margitza explores his Gypsy roots by tracing the origin of the Romany people from India across Eastern Europe. The music is programmatic in nature with each instrument and theme being a character in the story. The few tracks that Rick has posted on his MySpace page are very interesting. This is more of a world-beat project than a Jazz recording. Rick's playing was sparse and seemed to take a back seat to his composition. On the tune Gypsy Rick takes a solo that fits perfectly with the syncretic style that he has created for the tune. 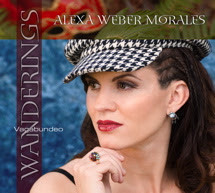 The tune is a groovy, moody minor tabla and sitar fueled fusion of Romany (the correct name for Gypsy), Hindustani and modern Jazz. After all, the Gypsies did migrate from Northern India/Pakistan in the 10th century. For a thorough introduction to the wonderful world of Gypsy music, check out the film called 'LatchoDrom'. It's a breathtaking flick that covers Romany music from the Indian sub-continent, and ends with modern Spanish Gypsy Flamenco and Parisian Hot-Jazz. Rick has a wide range of styles to draw from as he delves into his roots. I'm sure it must feel good to him to be recognized as a Gypsy instead of people always assuming that he's Puerto Rican (as I did). The French love their Gypsy Jazz and Rick must be blowing the lid off a scene where some players don't ever even use Major seventh chords (because Django never played them). Gyphop really stuck in my head and made a strong impression on me. The blend of strings, voice, harmonica, and saxophone is lush and rich. I hope Rick's having fun over there, it sounds like he is. growing exponentially as a result. I, like all of us feel robbed of the opportunity to hear what he would have come up with next. I feel like a huge part of me is missing and will always feel blessed to have known him. Dearest Michael, I'm glad that your suffering is over. Rest in peace knowing that you and your music helped make this world a better place." "I picked up an Aebersold book at the last IAJE called "How to Learn Tunes". Frankly, I wished there was more meat to it, but the basic gist is, memorize repertoire via categorization. In other words, make lists of tunes you know (or want to learn) grouped by characteristics such as key, meter, tempo, form, type of melody and harmony, rhythm/groove. This is something you can do while traveling or away from your instrument.Another good technique is to work with a metronome and practice the rhythms of a piece. My question lately is, what sort of mnemonic aids do other musicians use? I generally write lyrics over and over by hand to learn them (I'm a singer). But since I don't accompany myself on stage, I find that when I learn a tune on the piano, after the initial process of reading it and learning it, I forget the names of many of the chord changes. In other words, I have the muscle memory in my fingers but intellectually I'm not retaining the names of the chord changes. Any suggestions on improving this, or on learning tunes in general? " Since all of my readers seem to be such smarty-pants, I figured that one of them would have some great ideas for Alexa. I'm going to award the reader who responds with the most helpful and thorough answer a DVD chock full of incredible Jazz materials. That's right, over four gigs of Jazz books in PFD format, as well as, get this, 110 saxophone solo transcriptions, including MP3s of the original recordings!!!! These transcriptions are available for free if you follow the links here on Casa Valdez, but I have included all the audio files for you to play along with. There are over 72 Cannonball solos on this DVD alone! I can't even list all the harmony and improvisation books, why? Because it's TOTALLY ILLEGAL!!!!! So let's hear your ideas for learning tunes. I'll ship the DVD to the winner via Priority Mail. I finally had to remove the post called Coo-Coo's nest. It became too controversial to even keep up with the comments, I do have life you know. Was dissing my peers because they have juice than I? Am I a Mover disciple? Am I against tradition or for it? Do kids nowadays have their heads up their asses? Is it not cool anymore for white guys to swing? Am I more of a critic than a player? Is playing 20 cents sharp just expression or an intonation problem? Too many questions, too little time. A little about my personal tastes at the present time. There are no players my age that I'd say that I would want to sound like. If I had to choose my favorite player among the guys that I came up with I would have to say Douglas Yates, I dig the hell out of his playing. I also think that Charles McPherson is the greatest living Jazz saxophonist. I surely would not mind sounding like him, and like to tell myself that I do sometimes. I'm not advocating sounding like Warne or Garzone or Mover. Unique is always better. You can sound unique and still be steeped in tradition. Just listen to everyone! Simple. Don't paint yourself into a corner by having too few influences. Don't think that you can't be a great player as well as compose, teach, write, arrange, study, produce, cook, dance, whatever. Most real players do several different things well. Keep your options open, times have changed if you haven't noticed. Now can we please move on.